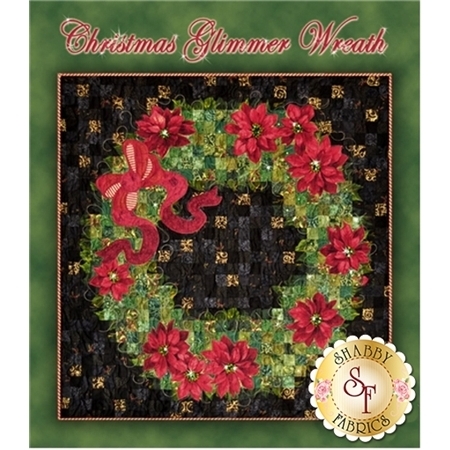 Christmas Glimmer is a stunning new design by Jennifer Bosworth of Shabby Fabrics! The wreath is set off by a rich black background and is detailed with gorgeous poinsettias, a rich red ribbon and bow, and over 100 hot fix rhinestones for extra sparkle! This is a wallhanging you'll want to pass down through the generations! Finished size is 45 1/2" x 45 1/2". This pattern includes all instructions. 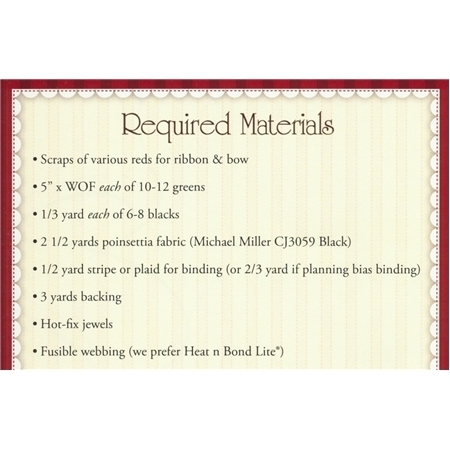 **Please note, this is a challenging but rewarding design and takes time and patience to successfully accomplish.